Order now and receive 3 Rolls of Tiger K Tape... Colour and design may vary. Also includes a FREE 90 minute instructional DVD with the use of our very own Tiger K Tape! 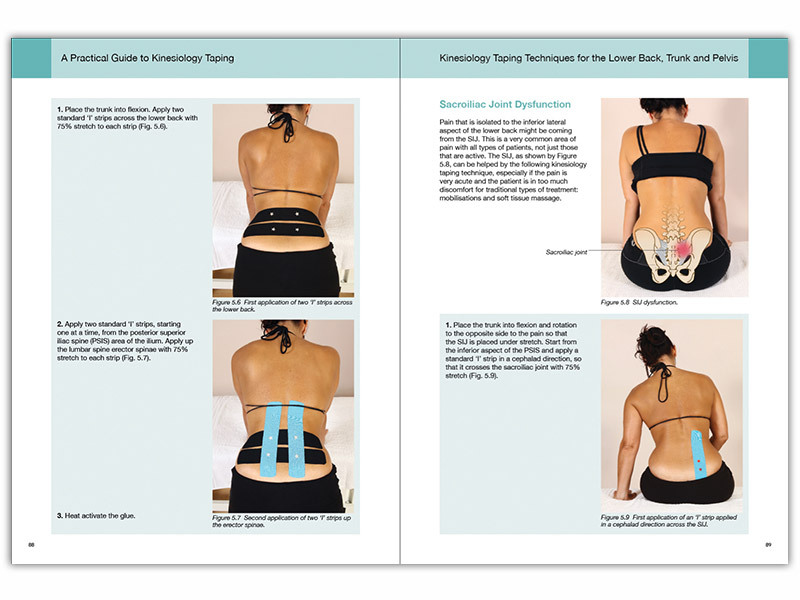 A Practical Guide To Kinesiology Taping by John Gibbons is a must for any physical therapist involved in the treatment of patients, athletes, or indeed anyone who may present with any type of sports-related injury, albeit peripheral limbs, trunk and/or cervical spine pain. This book has also been written for athletes and coaches who want to have a better understanding of how and when to apply these taping principles. John has the ability to explain this fascinating, yet not widely understood, subject in a relatively simplistic way that should help every reader develop the ability to apply these phenomenal techniques, with confidence, in any setting. This book is unique as John highlights over 50 specific areas of pain that are identified through individual artistic illustrations that have actually been drawn onto the body. A must-have on any therapist¹s shelf! Great little book for anyone who needs to know how to K Tape! Full of information, clear diagrams and instructions. Covers a wide range of techniques. Plus it comes with three rolls of K Tape so it's very good value for money considering K Tape can be quite expensive on its own. I was very pleased with this. It arrived quickly and was left with a neighbour. The book is a very clear guide to taping and the additional tapes are a welcome extra. An excellent, well illustrated book. Concise and easy to follow. Will be recommending this book to students and practitioners on CPE courses at the Northern Institute of Massage, Bury..